Rainforest Cruises specializes in Amazon River Cruises and Tours. Celebrating the Amazon's designation as a New World Wonder, summer cruises and tours will be deeply discounted. Guests save from 10% - 35% on cruises ranging from budget to luxury, with further discounts on land tours and free travel insurance. 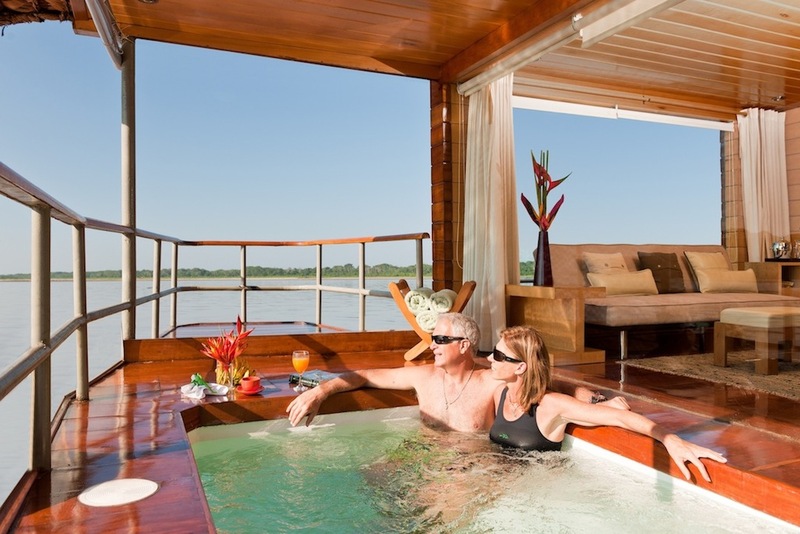 Rainforest Cruises, Specialists in Amazon River Cruises and Tours, is offering incredible Amazon travel deals this summer. Celebrating the Amazon's designation as a New World Wonder, discounts of up to 35% are available for cruises from May through July. Late last year, the Amazon River was designated a winner of the New Seven Wonders of Nature contest pending verification of the voting process. The New Seven Wonders is a contemporary effort to create a list of seven natural wonders, chosen through a global poll. Although we firmly believe that all the natural sites in the competition deserve special protection, we cannot understate how important it is for the Amazon Basin to be selected on account of its massive size and global importance. This is a momentous occasion, as it represents a universal understanding that the Amazon Rainforest is of great importance to humanity. The Amazon represents more than half the world's remaining rainforests, and comprises the largest and most species-rich tract of tropical rainforest in the world. Distinguished Travelers, Eco-tourists, and Nature Enthusiasts interested in a tour of the Amazon River are encouraged to consider a riverboat cruise to maximize their Amazon Tour experience. Offering boats ranging from budget to luxury, Rainforest Cruises can easily match travelers with the riverboat that best fits their travel style and budget. Amazon Cruise Deals are available now for early birds looking to secure their spot amongst the privileged few who have explored the remote corners of the Amazon Rainforest. It is the view of Rainforest Cruises that through tourism, travelers help to preserve greater amounts of the rainforest by delivering much needed revenues to traditionally under-developed areas. Riverboats offered by Rainforest Cruises not only employ local workers, but also reinvest in communities near the protected areas frequented by tourists. Incorporating indigenous communities reinforces important values of conservation, and provides alternative opportunities to populations that would otherwise extract important resources to support their families and communities. Ensuring that both the environment and local communities benefit from tourism is paramount. So, why are Amazon cruises the better tour option? Rainforest Cruises believes that riverboat cruises are the best way to explore the Amazon Basin. Staying in a jungle lodge is a wonderful experience, but cruises enable travelers to explore deep into tributaries, navigating to different types of jungle instead of exploring only one area. The Amazon River is in a constant state of flux as it swings between high-water and low-water seasons. Riverboats are designed to navigate in tributaries and narrow waterways, ensuring that no matter what the season, travelers will be able to access areas where wildlife congregates. In addition to mobility, riverboat tours offer travelers comforts uncommon to remote regions of the rainforests. Many riverboats boast spacious, climate-controlled rooms, gourmet meals prepared with local ingredients, private bathrooms with hot water, and well-equipped social areas. Traveling by riverboat will ensure that your Amazon tour will be as comfortable as it is adventurous. 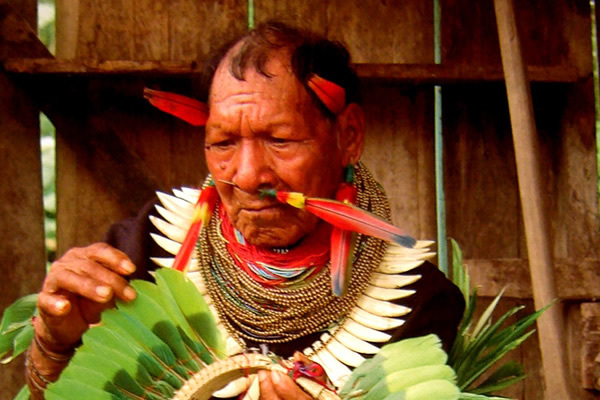 Nine different nations share the Amazon Rainforest. 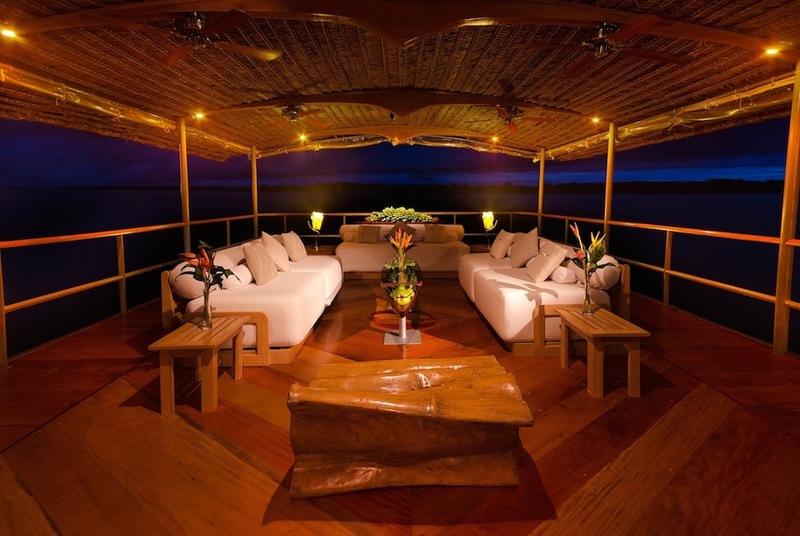 Amazon expedition cruises, however, are only available in Ecuador, Peru, Brazil, and Bolivia. Each of these countries control large portions of the Amazon Basin, and have set aside vast protected areas in which flora and fauna continue to thrive. 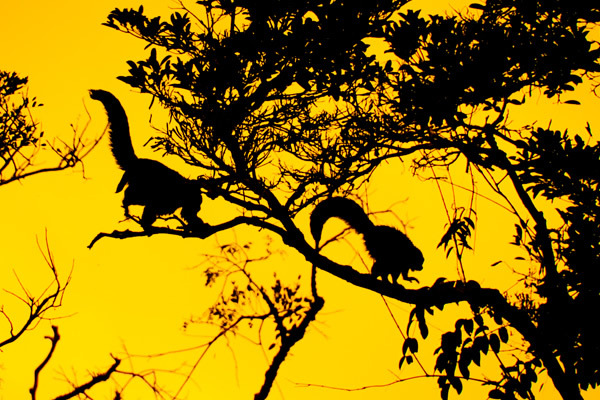 In Peru, most Amazon riverboat tours visit Pacaya Samiria National Park, the most extensive area of protected floodable forest (várzea) in the Amazon Rainforest. Peru Amazon Tours normally begin in Iquitos - the largest city in the world accessible only by air or boat - then navigate up river to Pacaya Samiria. On all Rainforest Cruises Amazon tours, in all our destinations, you can be guaranteed an unforgettable wilderness experience in what is officially - and unofficially - a natural wonder. For more information regarding our Amazon Cruises and Tours please contact cruise(at)rainforestcruises(dot)com.